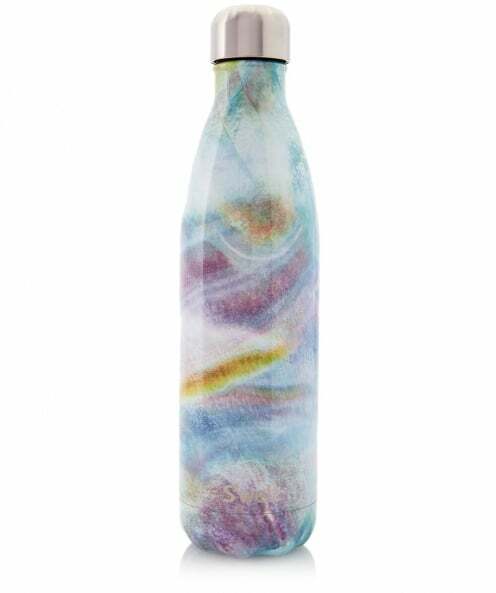 Add elegance to your everyday accessories with the S'well 25oz Mother of Pearl water bottle. Crafted from stainless steel the bottle is designed to keep your cold drink chilled for up to twenty-four hours and your hot drinks hot for up to twelve hours. Double walled and vacuum sealed, this drinks bottle from S'well is the perfect option for poolside holiday sor trips to the gym.